Democrats have been taking losing poorly to a new level following Trump's election. I get it, Hillary won the popular vote by the margin of the number of voters in New York City and Los Angeles. There's some case to be made that we don't need an electoral college, and an even better one to be made that we do (i.e., how much worse would it be if candidates only campaigned in 4-5 large cities instead of several "battleground" states?). So, protesters probably helped get Trump elected. We also don't like sore losers. Obama has now done things a sitting president probably shouldn't, including encouraging active duty troops to question the commander-in-chief (yes, they have a right to do that, but when they're not on duty) and ordering an investigation of Russian election hacking. Allegations of election fraud should indeed be investigated, but Obama seems to be doing this to encourage the belief that the election was rigged. Note that there's always been some election fraud, but that's actually something the electoral college helps mitigate. 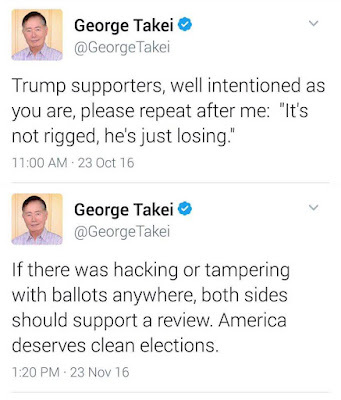 The hypocritical part is that before the election, the Democrats told us all about how there was no election fraud at all. It's entertaining to look at prominent Democrats' views pre and post election. Here's a representative example. Even when there was evidence of dead people voting, Democrats denied any election fraud. FactCheck even went so far as to right a highly critical article on it. Again, I'm all for investigating voter fraud. I'm not okay with rank hypocrisy because a party isn't happy their candidate lost. A bit of introspection would serve Democrats better than continued caterwauling. Some Democrats are already doing thoughtful introspection about what caused this loss. It's encouraging. I hope Republicans do the same, because the truth is that there's no joy in a Trump win. Ben Shapiro wrote a fantastic piece titled, "Trump Is Conservatism's Dunkirk." It was dead on. Both parties need to be looking into a way to prevent a fiasco like this from happening again. This election has to be the most ridiculous thing I've ever seen. I was discussing time travel with a friend and I said it simply wasn't possible. We'd have seen oddities in the timeline by now. He said, "Like a Trump vs. Clinton election?" Touché. 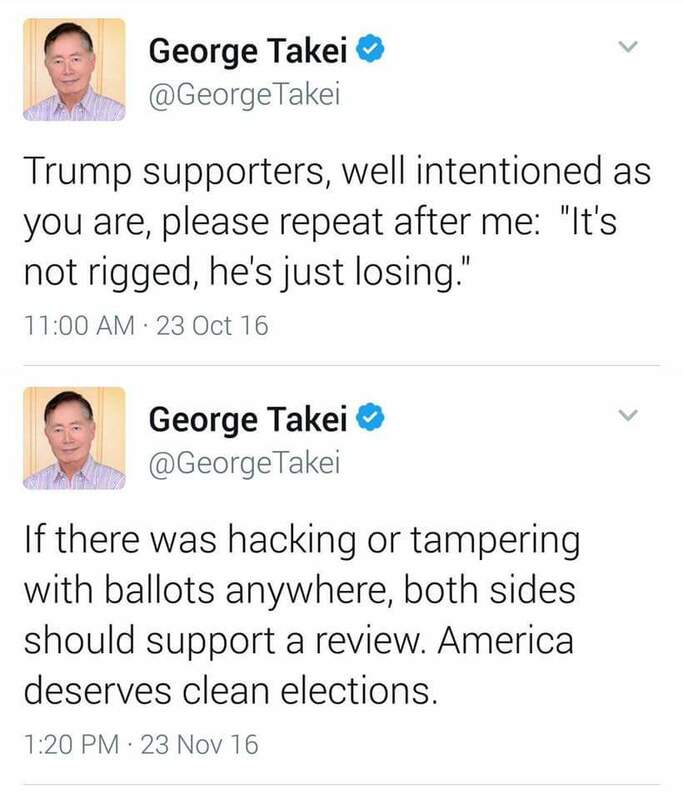 Let's investigate voter fraud but not pretend the election was rigged. Let's make sure we work toward a smarter system. Instead of fighting each other we should be looking at ways to get a better outcome for everyone in the future.